There are a few things that signify the official start of the Fall season: pumpkin-flavored beverages, leaves falling of the trees and changing colors, and flannel patterns. Whether it be by way of a cozy button down shirt, a boisterous pair of slacks, or even now a pair of sneakers, flannel plaids are an autumn outfit staple. 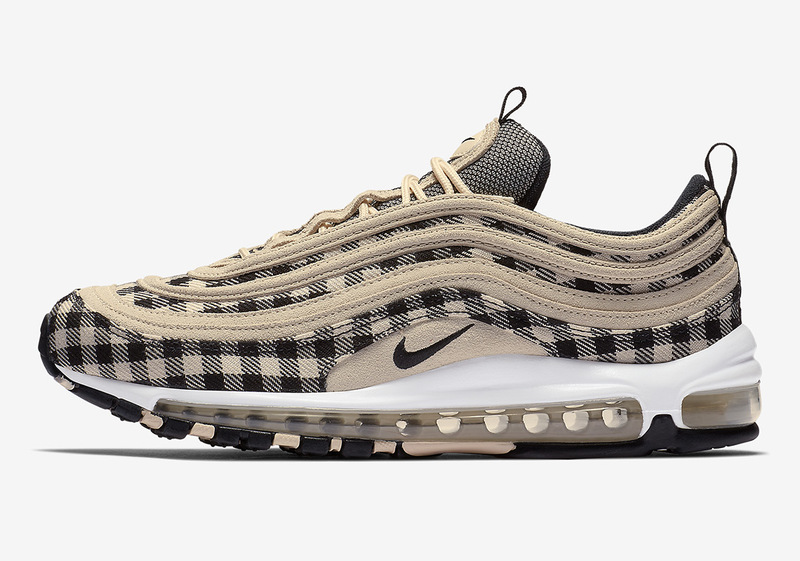 Following up last month’s Tartan Plaid collection of NSW classics is another similarly-designed Air Max 97 that utilizes more of the motif, but opts for a more simplistic color scheme. A light-colored beige acts as this iteration’s anchor, while black interacts with it on its upper, adorning its instep, tongue, heel, and Nike branding as well. No official release date for this fall-flavored 97 has been reported, so keep it locked for updates regarding its Nike.com release as well as other potential Sportswear silhouettes donning a similar aesthetic.